Zydus Cadila, a leading Indian Pharmaceutical company is a fully integrated, global healthcare provider. With in-depth domain expertise in the field of healthcare, it has strong capabilities across the spectrum of the pharmaceutical value chain. 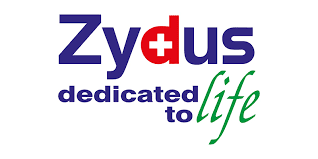 From formulations to active pharmaceutical ingredients and animal healthcare products to wellness products, Zydus has earned a reputation amongst Indian pharmaceutical companies for providing comprehensive and complete healthcare solutions.